Hester Sunshine is a fashion designer with 10+ years of experience in the New York City fashion industry. She currently resides in Santa Fe, New Mexico. During her years in New York, Hester designed high fashion, ready-to-wear apparel, accessories, and even Halloween costumes. She worked everywhere from Betsey Johnson to Coach to Kate Spade, and designed private label for Hot Topic, Spencer Gifts, Nordstorms, Walmart and more. 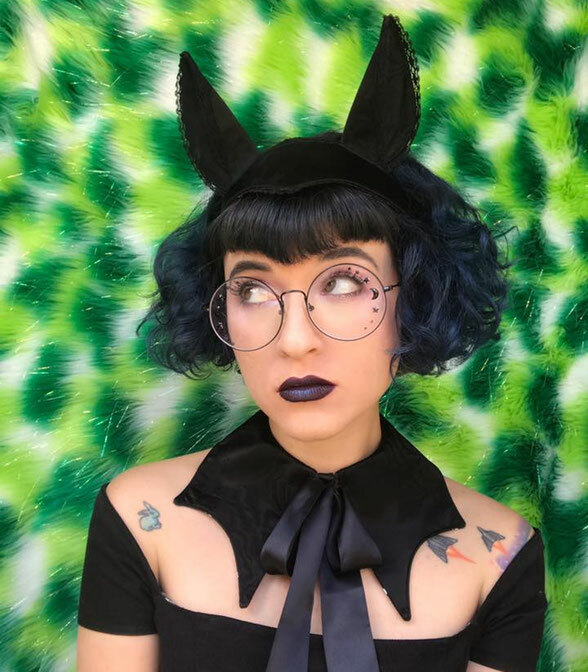 Now, after years working for other people and dealing with overseas factories and fast fashion companies, Hester has created Sunshine By Hester, a hand-made U.S. based line that offers high quality fantasy seasonal accessories for everyone! Hester started out in the NYC fashion world working for indi designer Judi Rosen, then moving onto Betsey Johnson, Banana Republic, Coach, Kate Spade, Rampage, and finally running a private label company that designed hair and jewelry, cold weather accessories and Halloween for many companies including Hot Topic, Spencer Gifts, Walmart, Nordstroms, Spirit Halloween and more. 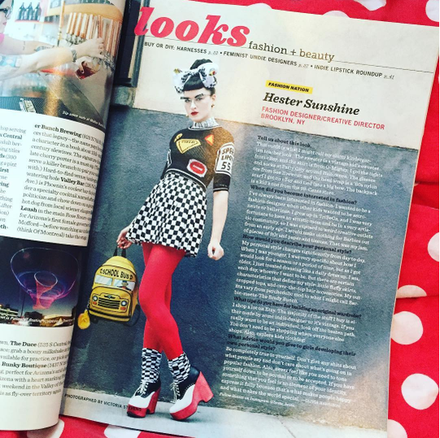 Hester Sunshine has been highlighted in: New Yorker Magazine, Bust, Fashionfix Daily, Racked, Kate Spade Style Spy, and Vice.